Socialist realism [Соціялістичний реалізм; Sotsiialistychnyi realizm]. The only officially sanctioned so-called ‘creative method’ in Soviet literature and art from the early 1930s. The revolutionary poets of the late 19th century (G.L. Weerth, E. Pottier) and the Russian revolutionary democrats (Vissarion Belinsky, Nikolai Chernyshevsky, Nikolai Dobroliubov) were considered its forerunners. To a certain extent the title ‘revolutionary democrat’ was also applied, artificially, to Ivan Franko, Lesia Ukrainka, and Mykhailo Kotsiubynsky. Maxim Gorky is acknowledged as the writer who laid down the principles of socialist realism before 1917, and who was its leading practitioner in the early years of Soviet rule. Before its official adoption as the prescribed style the All-Ukrainian Association of Proletarian Writers promoted their version of the form, ‘proletarian realism.’ The term socialist realism and its theoretical underpinnings were officially adopted by the First Congress of Writers of the USSR in August 1934, when the Soviet Writers' Union was established. Those active in other fields (theater, painting, sculpture, cinema, music) were also organized into single artistic unions, and also adopted socialist realism as the basic creative method. According to the resolution of the first Writers' Union congress: ‘socialist realism demands a true, historical, and concrete depiction of reality in its revolutionary development. The realism and historical concreteness of the artistic rendering of reality must be tied to the ideological re-education and training of workers in the spirit of socialism. Socialist realism guarantees the artist exclusive control over creative initiative, and choice of form, style, and genre.’ As applied, however, those principles had a very narrow meaning. 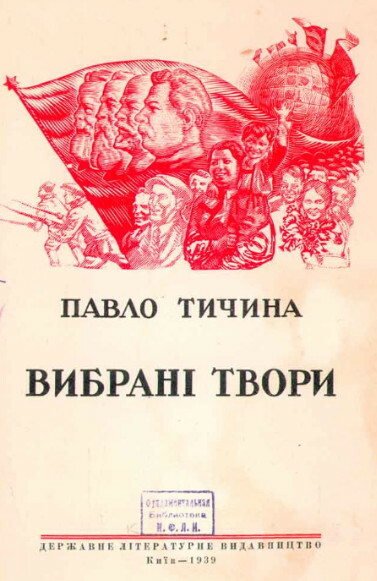 The ‘true depiction of reality in its revolutionary development’ meant that literature and art were to serve as glorifying illustrations of the CPSU's policies, and to portray what was hoped for in such a way that it seemed real. 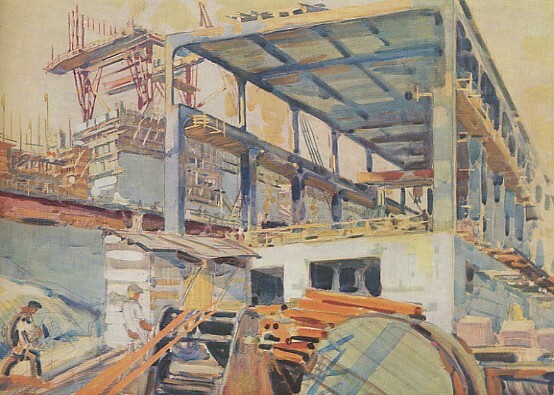 Deviations into truly realistic portrayals of Soviet reality and its deficiencies were attacked as ‘slavishness to facts’ or ‘anti-Soviet agitation and propaganda.’ That response resulted in the formulation of such theoretical conceptions as the ‘varnishing of reality’ and the ‘theory of no conflict,’ that is, painting reality with a rosy hue. Socialist realism's need to hide falsity of content gave rise to certain characteristics of style in all Soviet literature and art. In literature it was responsible for the presence of compendiums of useless information and statistical data, the use of artificial verbal ornamentation, the overuse of epithets and similes (even in the works of superior writers, such as Oles Honchar and Pavlo Zahrebelny), a decline in the lexicon to the level of journalistic vocabulary, a reliance on artificial pathos that dipped into sentimentality (in the novels of Mykhailo Stelmakh, the biographical narratives of Yukhym Martych), and a preponderance of didacticism and moralizing. In painting it resulted in excessive pathos, photographism (with gestures and motion depicted as if frozen by photographs), and the tendency to dwell on luxurious uniforms and interiors. Changes in socialist realism occurred in step with changes in the regime. The initial programmatic resolution that guaranteed choice of form, style, and genre had no practical application. In its first period (1934–41) socialist realism's range in prose and painting was restricted to depictions of industrialization and collectivization (in painting, the focus was mainly on portraits and monuments to Joseph Stalin). Poetry was reduced to stilted odes to the Party and its leaders (eg, Pavlo Tychyna's Partiia vede [The Party Leads the Way] and Maksym Rylsky's Pisnia pro Stalina [Song about Stalin]). Music consisted of cantatas dedicated to the Party. During the Second World War art was mainly the patriotic poster and the satirical caricature, and literature was dominated by patriotic themes and publicistic style (eg, narratives and articles of Oleksander Dovzhenko). 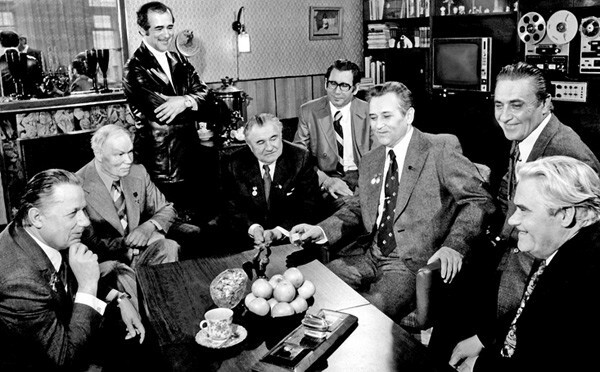 Gradually the theme of glorification of the Russian ‘big brother’ crept in, and it was intensified after the war. The theme reached a climax in the ‘unification celebrations’ of 1954. It was reflected in various genres and media: in prose, in works such as Natan Rybak's Pereiaslavs’ka rada (The Pereiaslav Council, 2 vols, 1948, 1953), and in painting, in Mykhailo Derehus's Pereiaslav Council (1952) and M. Khmelko's Forever with Moscow, Forever with the Russian People (1951–4). The theme remained constant in Ukrainian socialist-realist literature and art; only its intensity varied. Socialist realism was enforced in literature and the other arts by means of repressions. In the 1930s over 300 writers were executed or otherwise prevented from publishing. Some painters, such as Anatol Petrytsky, survived the terror, but their works were destroyed (an extensive series of Petrytsky's portraits). Many others, including Mykhailo Boichuk, Sofiia Nalepinska, Vasyl Sedliar, and Ivan Padalka, were shot. Theater was also decimated in the name of the new form. The Berezil theater was liquidated, and its founder and director, Les Kurbas, died in a prison camp, as did its principal playwright, Mykola Kulish. 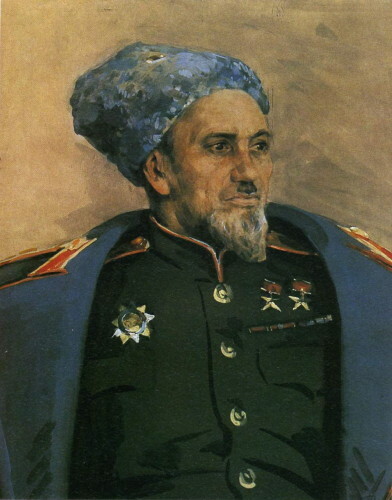 Its major actors, such as Yosyp Hirniak, were imprisoned. Writers of the brief literary renaissance of the 1950s and 1960s (see Shistdesiatnyky) were persecuted because of their deviations from the officially sanctioned method. Departures from the norm were labeled ‘formalism,’ ‘abstractionism,’ or ‘modernism’ and proscribed. 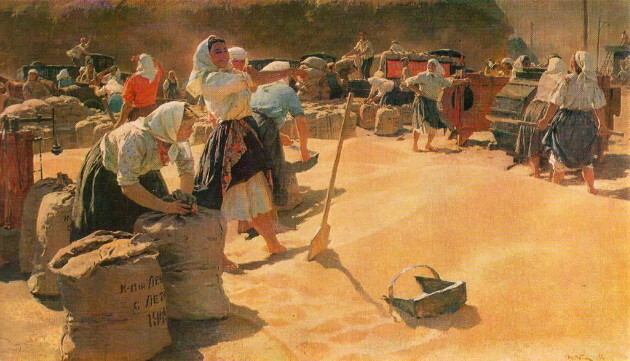 In its last stage socialist realism was praised for its Party orientation and its ‘populism’ (narodnist). Those terms continued to be used as synonyms for devoted service to the interests of the Party. Socialist realism also demanded isolation from the literature and art of the West, with particular emphasis on the ‘revisionism’ of Western Communist critics (eg, R. Garaudy, Réalisme sans rivages). Theoreticians of socialist realism based their writings on those of Karl Marx, Friedrich Engels, and Vladimir Lenin, various resolutions of the Communist Party of the Soviet Union, and the speeches of various Party leaders. A large body of writings created in several decades up until the 1990s consisted entirely of dogmatic pronouncements and tendentious interpretations of artificially chosen quotes from officially accepted works. After the announcement of Perestroika and Glasnost in 1985, the dogmatic constraits of socialist realism have been widened. Indeed, reference to socialist realism has largely been avoided, especially since the breakup of the Soviet Union. With time, the use of this term practically disappeared in the contemporary art and literature of independent Ukraine.